Here are some of my favorites! What do you think about fruit prints? Lovely same as like always ! KT your dress style is always unique that’s why I like it. I love these heels! As I’ve been seeing more and more people wearing the tulip skirt it is growing on me. 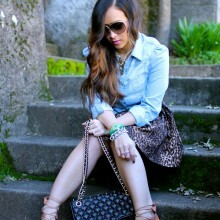 Love the look here! Also, love your new logo! Cute! I have to admit…I don’t think I have any fruit print in my closet…maybe I need to add some :) I also love the shape of this skirt!! Please where can i get ur shoe in a larger size? mybe 12? AAAAH lovely outfit again! Really like the skirt and the top! Amazing! 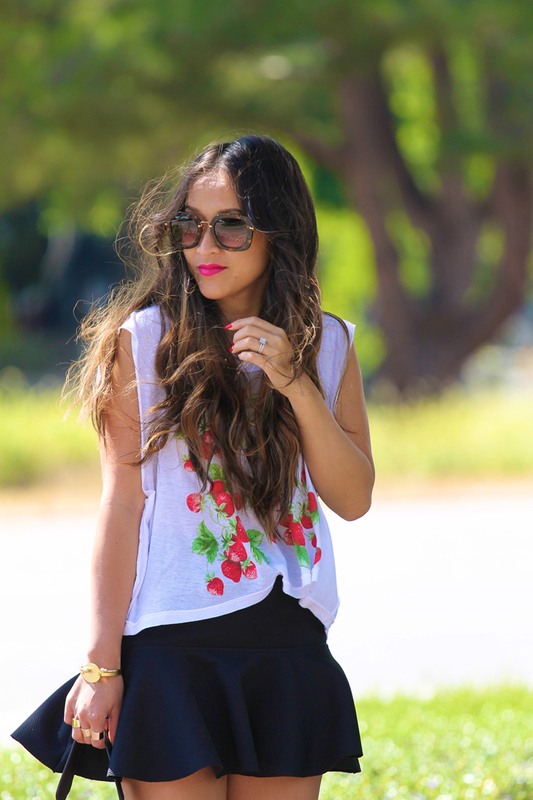 This is a really cute and fun summer look! :) I think that the key to wearing fruit prints is–and this obviously applies to other prints as well–to not over do it, unless you’re going for a very Katy Perry-esque look, lol. 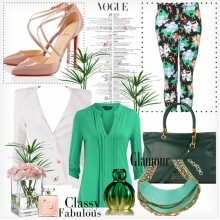 Strawberries are one of my favorites and gurl, those Miu Mius are to die for! These are my favorite, I love fruit prints, they scream summer I’m lovin’ these photos. I love a good cute printed t for summer! Yours is adorable! you look so cute, love this. You stay killin’ it KT! 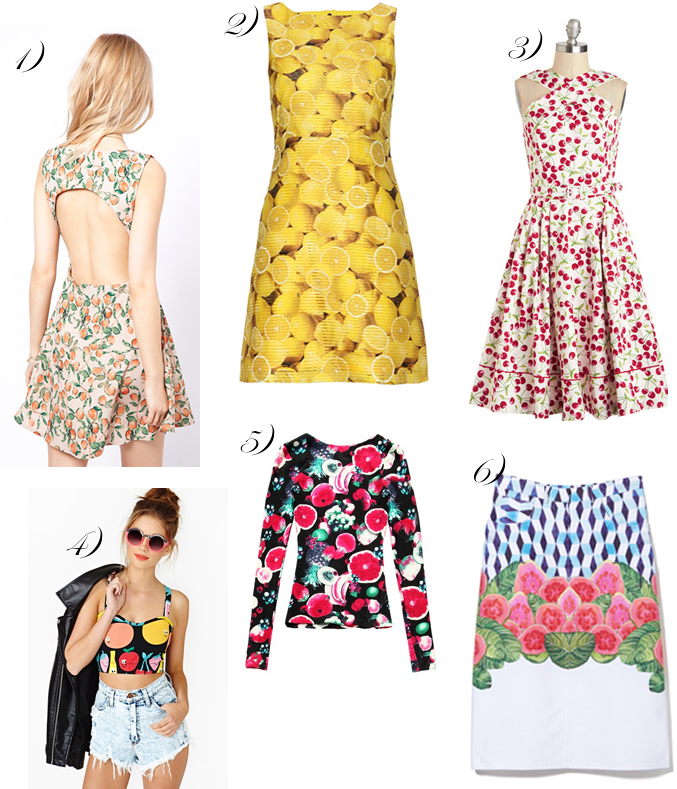 Love the 2nd lemon dress too, and the new fruity nasty gal collection!